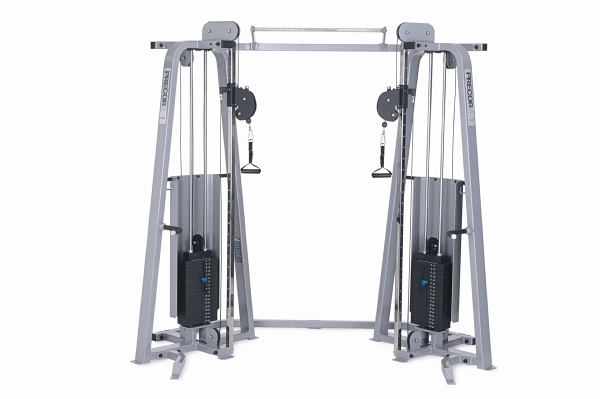 A Functional Trainer uses a weighted pulley on each side of your body that are adjustable from very low to very high. This gives you the ability to perform exercises with the weights pulling from any angle you choose. When performing an exercise you must deliberately stabilize your core in order to balance each side of your body and maintain correct form. Working out with a functional trainer strengthens the muscles you are focusing on, builds your core strength and increases your flexibility. Because of the large range of angles that you can set, the number of exercises you can perform is virtually unlimited. 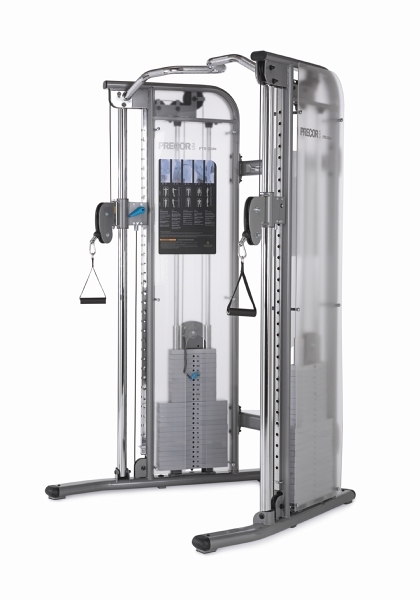 Functional trainers are also excellent for rehabilitation needs and sport specific exercises. Give us a call or send a quick email with any questions you have or to set up a demonstration. Thank you for considering FitLine Fitness Equipment.